Blue/Purple Smokey Look – Hooded Eyes – Just Beauty Eh? This is my ride-or-die eye primer, and makes my eye makeup look amazing and last aaallll day long. I wrote a blog post on how awesome it really is – check it out here. I only used Buon Fresco from this palette as a base shade. Usually for a base I use a neutral or yellow-toned shade similar to my skin tone, but I went for a grey-pink instead since it goes with the blue/purple theme. I used a fluffy eye brush to sweep this shade all over the lid, from my lash line to above my crease. Turquoise shade: ME-232. Purple shade: S-924. I took a flat eyeshadow brush and packed on the purple shade (S-904) to my eyelid, stopping at my crease. When I was satisfied with the level of pigment, I used a fluffy blending brush to blend out the harsh edges. I cleaned off my flat eyeshadow brush and coated it with the turquoise shade (ME-232). I packed this onto the very centre of my eyelid, blending the colour slightly but focusing it on one spot. I used a pencil brush on my bottom lash line to mimic what was happening on top: running purple (S-904) on the outer edge and turquoise (ME-232) in the middle. With the flat eyeshadow brush again, I used this shimmery blue shade and applied it on both sides of the turquoise shade, hitting the inner and outer thirds of my eyelid. I used the fluffy blending brush and went back in with the purple shade, blending along my crease to make sure everything transitioned well. This is another ride-or-die product of mine. THIS IS THE BEST LIQUID EYELINER ON THE MARKET. NO DOUBT. 😍😍 I’ve tried so many formulas (drugstore, KVD) and this is my favourite. It excels in every department: pigment, ease of application, longevity (it doesn’t start to dry out until after a year), and lasting power (it stays on my oily eyelids for 24 hours). In the article above about the UD primer, I also write about this! Definitely give it a try if you have trouble with liner staying on your eyelids. You’re welcome. These lashes are very voluminous and have a cat eye effect, so the lashes are longest on the outer corners. I realized after applying these that it’s not the best shape for my eye, so sorry if the lashes look a little weird. 😥 They’re really nice lashes otherwise, though. I’m pretty new to using false lashes so I did some research online for what the best glue is. 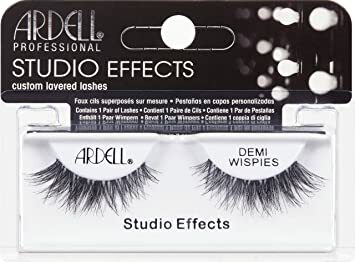 I tried the Ardell and Duo lash glues (both clear) but they had a weird fishy smell and didn’t last very long. I love this one though, especially how it dries black so it blends into my eyeliner. I used mascara just on my bottom lashes but I have so few of them you can barely see them. I won’t name the mascara I used because it isn’t a favourite and didn’t do anything amazing. I should have added an inner corner highlight, but I didn’t want to ruin this look just in case I messed it up haha. I probably should have put more eyeliner on after applying lashes but my hooded eyes have very limited lid space so I didn’t want to thicken the line more.